Prostate Cancer Awareness Month kicked off last week and we’re thrilled to see advocates across the country raising awareness in their local communities. The need to educate and raise awareness is critical – when it comes to this disease, early detection saves lives. When caught early, prostate cancer is 99% survivable over five years. But when it’s caught at a late stage that number drops to 29%. That’s why we want to see who you’re fighting for this month! 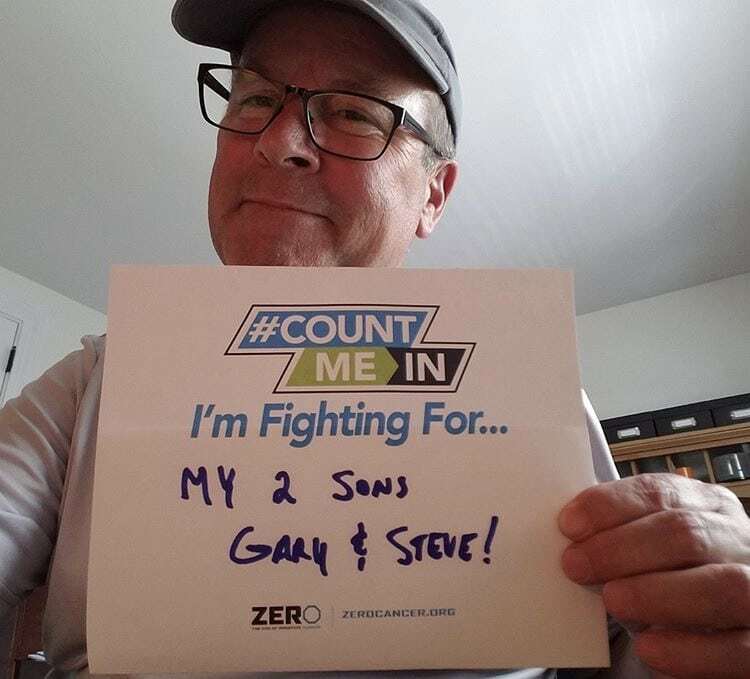 You can join our Count Me In campaign to make prostate cancer a national priority. 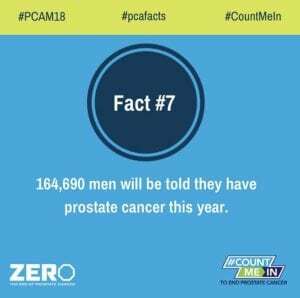 Print a copy of our sign, take a selfie, and then share it on social media using #CountMeIn #PCAM18. Act now by tagging your photo and sharing it with Amanda(at)zerocancer.org, the web, and everyone you know. At ZERO, we are committed to educating the community about prostate cancer. With your help we can have a presence at countless local awareness events such as health, community, and workplace fairs. That is why we have developed the ZERO Awareness Toolkit initiative as part of our commitment to increasing awareness about prostate cancer. Find a fair near you, and ZERO will send you a box full of goodies that are both informative and fun. 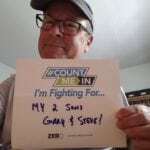 Join ZERO Connect, a private Facebook support group for those affected by prostate cancer to share their stories, get advice, and connect with one another on their prostate cancer journey. Prostate cancer is the second leading cause of cancer death among American men and is the most commonly diagnosed. With more than 2.9 million men living with the disease, we developed support resources for those who need help on their journey. In addition to a myriad of ways to get involved during Prostate Cancer Awareness Month, our website offers resources, including educational materials and fact sheets, webinars and videos, and a database of free testing sites across the country. If you are a man – or you know one – who has already been newly diagnosed, we also provide a free, downloadable toolkit filled with easy-to-digest information and resources. Patients can also take advantage of ZERO360, a free, one-on-one comprehensive patient support program. Together, we can help the men and families fighting this terrible disease. Can we count you in?